Ozona is a small community located along the Gulf of Mexico in Pinellas County, Florida west of Palm Harbor and North of Dunedin. The entire community consists of about 775 households living in about a half a square mile. Ozona is a very eclectic community that includes multi-million dollar waterfront mansions and old run-down beach shacks, 3 marinas and a fish camp, and several popular restaurants known for their seafood, live music and relaxed atmosphere. If you are looking for an Ozona pool builder to turn your back yard into a beautiful Ozona outdoor living space for you and your family, look no further than Grand Vista Pools. We've been designing and building new swimming pools in Ozona and surrounding communities for decades. 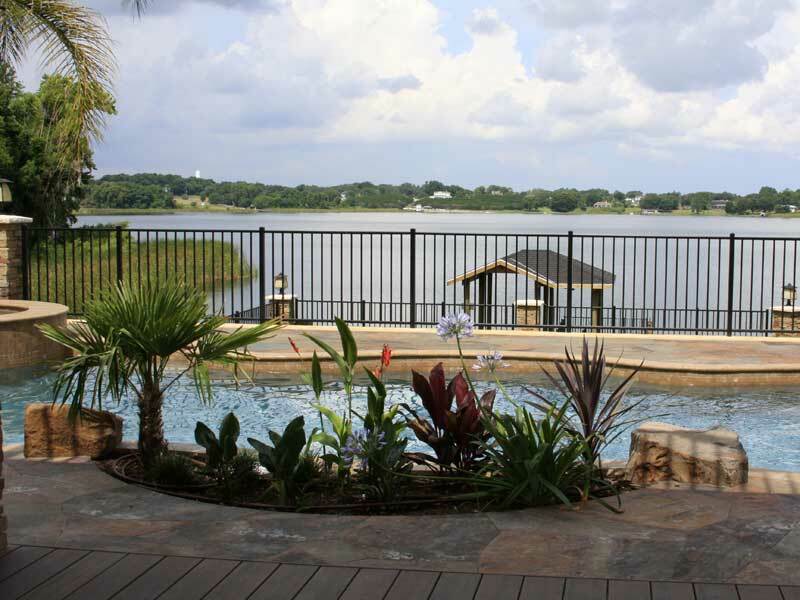 One unique factor that makes Grand Vista Pools distinct is not only are we an experienced Ozona pool contractor, but we are also a licensed general contractor. This means we can construct your entire Ozona outdoor living area including renovations to your home to make your indoor living space flow better with your new outdoor living space. Do you have an older swimming pool that needs some remodeling? Would you like to add a spa? Maybe some modern water, lighting or fire features? We do everything from pool resurfacing to extreme makeovers. Ozona pool remodeling can make an old, dated pool look amazing with new design options, features and technology! Grand Vista Pools also specializes in designing and building Ozona outdoor kitchens. Whether you want a manly outdoor grill, a laid-back outdoor bar or a full kitchen, we can design and build the perfect Ozona outdoor living space for you.